What does it mean when you ask "how well do you know X?" One possible definition: the amount of "everything" you know about a given ket. So not a bad start at defining "how well you do know X?". Now, lets try to automate this a bit, by making use of the fact that loading sw files can do computation. NB: the "|null> => ..." is needed because only valid learn rules are processed during sw file loading. So we just use |null> as a dummy variable. If you leave them out, then our map and table lines would not be processed. I think that is kind of cool! Last time we implemented edit distance in BKO, and gave a couple of simple examples. Today I just want to visualize that. "context" -> "visualizing edit distance"
Which is a very pretty picture, and neatly shows how operators step through "brain space". And unlike in our previous graphs, these are not literal operators, these are function operators. 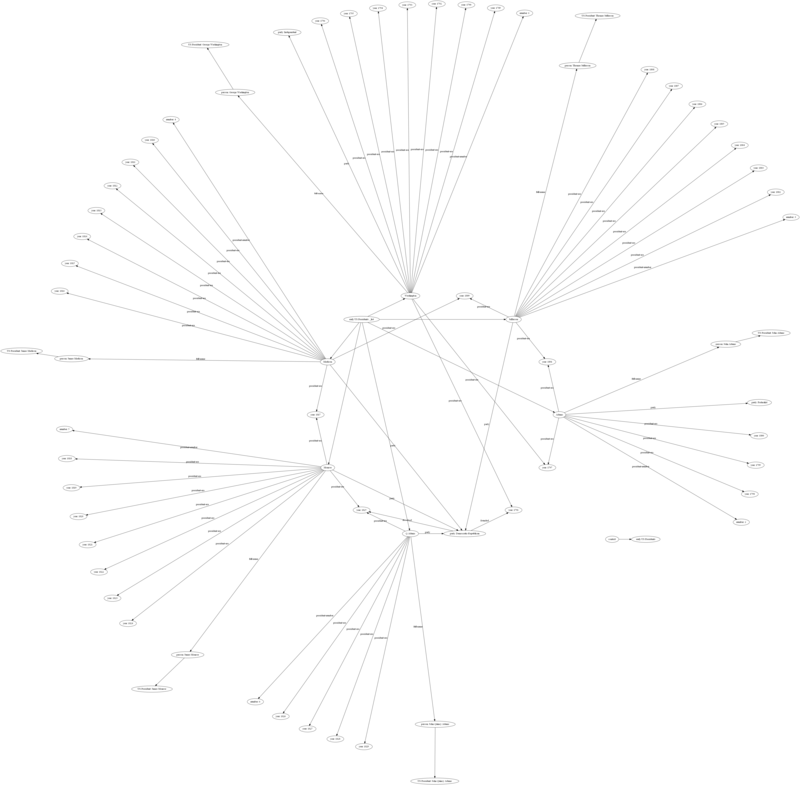 It also clearly shows how kets map to nodes, and operators to links between nodes. And a brief comment. 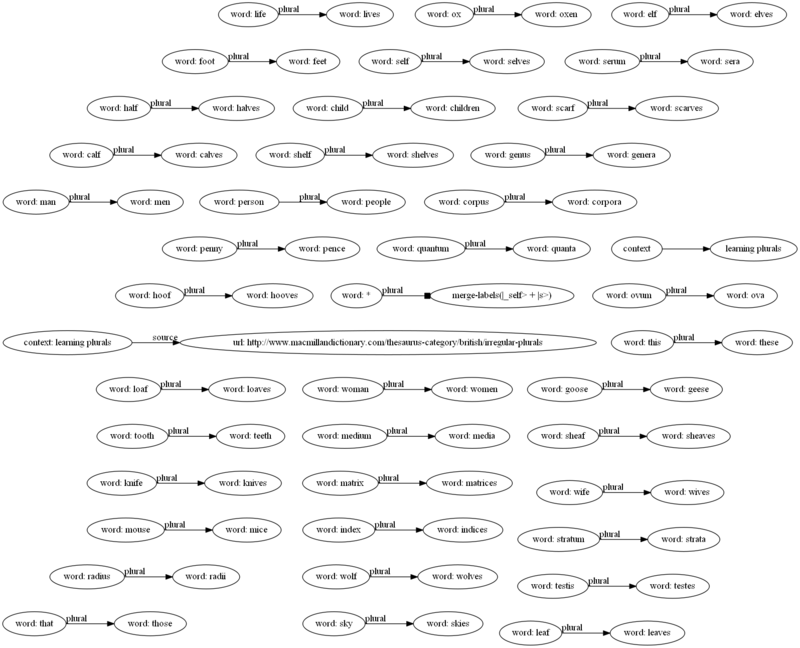 I wonder if we want to write some code to auto-map op-sequences to pretty graphs? How easy would it be, and would there be enough use for it? Don't know yet. Insertion of a single symbol. If a = uv, then inserting the symbol x produces uxv. This can also be denoted ε→x, using ε to denote the empty string. Deletion of a single symbol changes uxv to uv (x→ε). Substitution of a single symbol x for a symbol y ≠ x changes uxv to uyv (x→y). sittin → sitting (insertion of "g" at the end). for a total cost/distance of 5 operations. And now a couple of comments. First, it seems BKO operators are a natural way to represent these text operators. The second is that the number of operators from starting superposition (in the above example, kets), to the final one seems to form a natural kind of distance metric. This being general, not just for the above 3 operators, but all operators in our project. For example, when you say something is a deep thought, in BKO that would correspond to a very long op sequence from starting facts. And related to that, the brain must be doing something interesting, because for a computer, finding the exact op sequence that matches starting point to desired destination is vastly expensive big O wise. How the brain seems to do this efficiently, I don't know. I mean, it is an extreme example, but consider the 100 page proof of Fermat's last theorem. If we convert that to a big op sequence, naive search to find it would be impossible. I guess humans must divide the problem into smaller problems which require smaller op sequences to find, but still it is rather amazing! And oh yeah, I think eventually we will find a natural way to encode mathematics using the BKO structure. For example a proof is just an operator (itself constructed from an op sequence) from one superposition (in this case starting axioms and knowledge) to a desired end superposition. 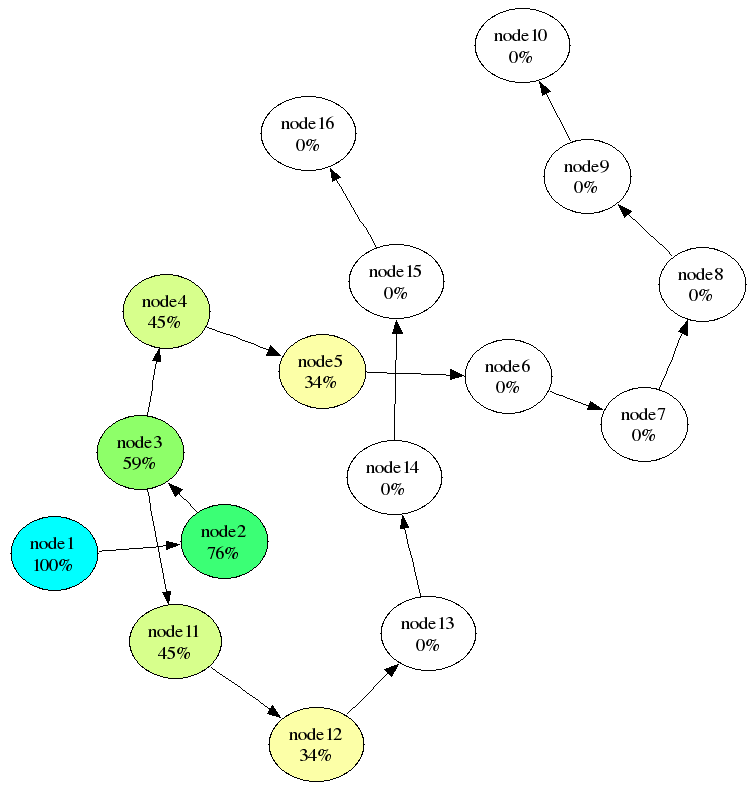 And math objects such as metrics or groups correspond to particular network structures. 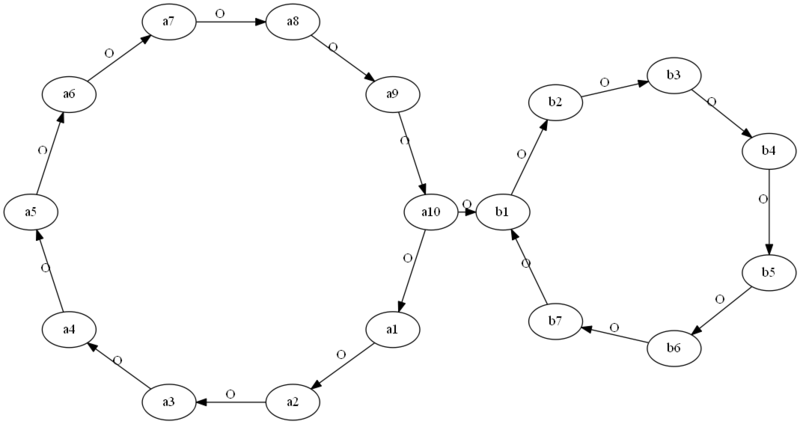 And possibly homomorphisms are maps between objects with similar network structures. Another thing I should mention is I'm not a big fan of always using edit distance to measure similarity of two strings. Sure, seems to work great for spell check, which so far I can't reproduce well using my simm. But for longer text I prefer my similarity metric. I guess the best link I can give is to this blog post, and this code. So sort of works. But we have things in there like "mantelet" that has a high match because of "ele" and "ant". This is from the 3-grams, and the fact that we have no real ordering info. So "ele" + "ant" is just as similar as "ant" + "ele". I guess an improvement is not to run the similar[op] on ngrams, but first convert letters into how they are pronounced. And then run similar[op] on that. I don't know the easiest way to do that. Update: ahh... one definition of intelligence is the speed with which an agent finds the op sequence that maps from the current state (superposition) to the desired end state (superposition). Especially for the case of non-trivial op sequences. There are other possible definitions. eg, the speed with which an agent finds a good internal representation (ie a well constructed network) for a concept. BTW, a comment on "well constructed network". This is probably the difference between rote learning a concept (which corresponds to a poorly constructed network), and having a deep understanding of a concept. A couple of simple ones. Softmax and log. -- default is base e, so log(e) = 1. Another brief comparison. This time looking at spreading activation, and encoding that in BKO. I'm not going to give it much thought. Just quick and dirty. In this example, spreading activation originated at node 1 which has an initial activation value of 1.0 (100%). Each link has the same weight value of 0.9. The decay factor was 0.85. Four cycles of spreading activation have occurred. Color hue and saturation indicate different activation values. Which nicely reproduces the percentages in the above graph. Update: at this stage we have more than proved we can represent most things in BKO (sp-learn rules are currently an exception, waiting for me to finish the parsely implementation of extract-compound-superposition). We are now at the stage of finding ways to learn knowledge with minimal input from a human. 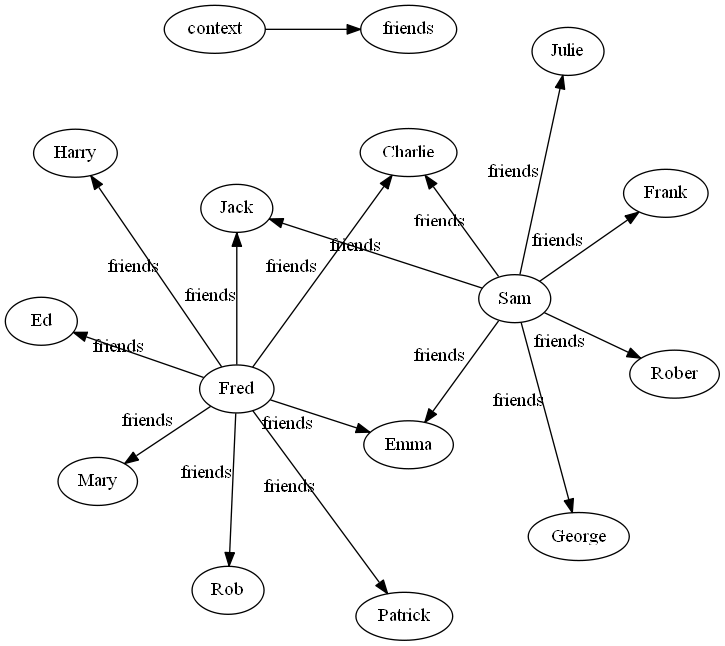 Reading over on wikipedia about semantic networks. Thought I would give a brief comparison with BKO. Anyway, I obviously prefer my notation. For one it is uniform, ie all in form OP KET => KET. And unlike LISP, the grep of any valid sw file, is itself a valid sw file. A small thing, but sometimes useful. eg, if you have a big file and you only need a subset of the operators, using grep you can shrink it to a more manageable file size. The other thing is that in BKO we can effectively have a list on the right hand side (ie a superposition), and further, associate floats with each element in that list. Presumably this is harder in LISP. I guess that is it. Just note, this is probably not my final word on this topic. I really need to give it more thinking time. maybe we don't need projections? Currently my unfinished parser can't handle projections, or bra's or a bunch of other stuff. Yeah, I will get to it eventually. But today a quick example showing maybe we don't need projections? I don't yet have a use for this, but I'm pretty sure it will be useful eventually. A big binary tree would be a bit of work to define fully by hand. So in this short post, an example of how to build one easily. Now, we use this to grow the tree! And now we are done. And it is trivial to make even bigger trees using the same method. strange-int[x] = the sum of the prime factors of x. 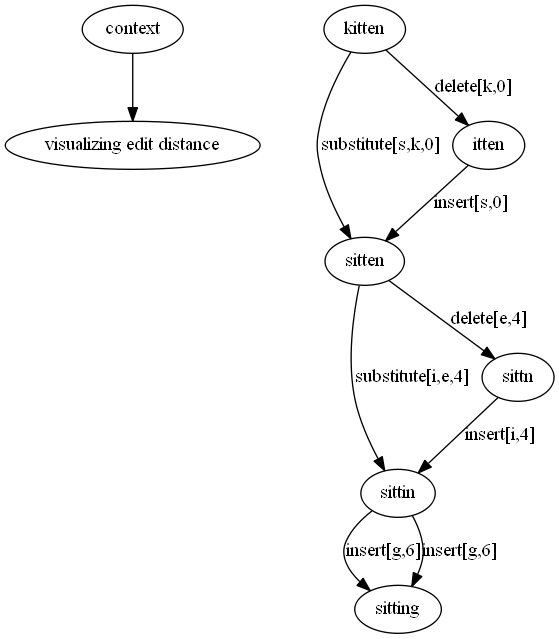 This has the effect that we can form a tree of integers (for the impatient, here is an image of that tree), where each application of strange-int steps one step closer to a final prime. -- we need this due to a quirk of my code. -- where the strange-int on the right hand side is a function-operator in my functions code. Now, lets sort by strange-int-list length, and find the top 100 of those in the first 100,000 integers. So it seems, in the first 100,000 integers, 55,694 and 27,933 are in some sense "the least prime", taking 12 steps of strange-int to reach a destination prime. And 91,198 is the only one in the top 100 that has 7 as the final prime instead of 5. Now, let's upscale to the first 1,000,000 integers (I tried 10,000,000 but python seg-faulted at 1.4 million). I guess one observation to make here is that length-of-strange-int-list grows rather slowly. And that 334,142 is in some sense the least prime. And I guess we can ask the question, does this ordering of primes (5,7,13,11,19,17,23,31,29,43,37,...) stabilize as n -> infinity? I suspect it just might. OK. I had a closer look with more examples, and it might and it might not. If it does, it would provide a kind of natural ordering of primes. Whatever use that may be. The interpretation being all elements in the second column are members of the strange-int-prime equivalency class of the prime in the first column. NB: the picture is too large to see here, so click on it to see the full, but pretty, tree. Anyway, the point of this post is not just about strange-ints. It is more about giving some examples of how you can slice and dice knowledge using the knowledge engine. I had a bit more of a read of the DOT manual, and found a neater way to write my dot files. So, here is the new code. First, Fibonacci numbers, with some saved examples. And I guess that is about it for this post. "some node" -> "a node"
"some node" -> "b node"
"some node" -> "c node"
But I don't know if I can be bothered to do that. I'll think about it. I guess it shouldn't be too hard. Just use " ".join(...). Happy to announce I made some major progress in the last couple of days! 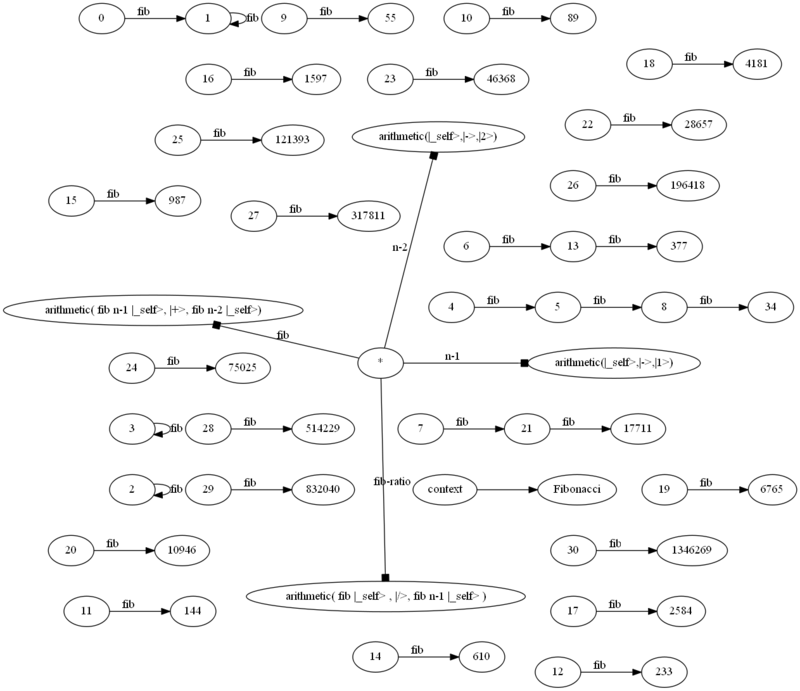 I discovered a nice tidy graph description language called DOT, and realized with not much work I could convert my sw files to DOT, and then use graphviz to plot the graphs. Suddenly, my math-looking sw files can now be made into pretty pictures (at least for smaller sw files. 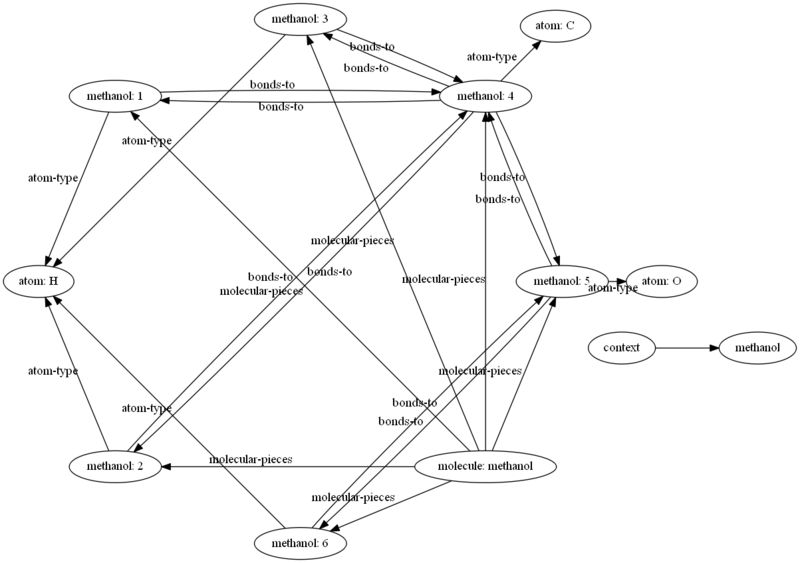 I tried names.sw but graphviz crashed out!). Now, let's give some examples. Let's start with our earliest example, the www-document flow-chart. Anyway, all nice and pretty! Some more dot files and png files.